RUDY GIULIANI EXCLUSIVE! If everybody else had these stories they wouldn't be exclusive. 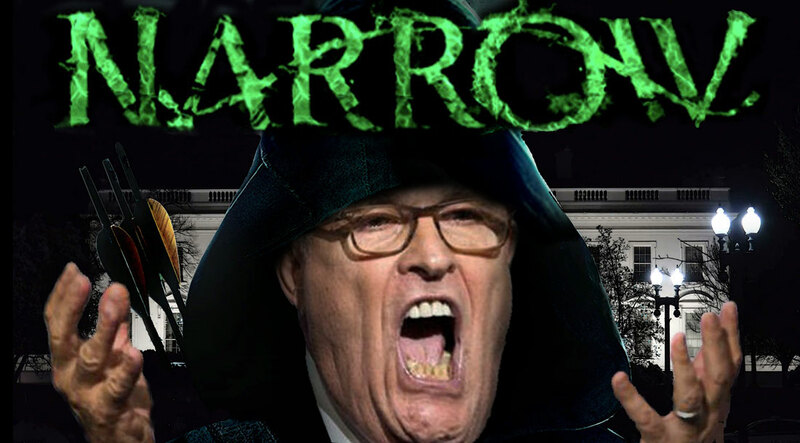 NARROW When Rudy comes to Washington after years stranded on a New York island, he picks up where he left off, playing the legal eagle he used to be, but dons the alter ego of Narrow and works to obscure the wrongs of the President. Complicating his mission is a dogged special prosecutor, Mueller. NAUSEA HEARTBURN INDIGESTION UPSET STOMACH GIULIANI Weird Waylon E. Lee and the Pepto Bismo Boys released a catchy country dance video that has "Done burnt up the You Tube" according to Weird Waylon who also says "It weren't easy moving to Nashville and until this hit video everything else had been goin' to crap". THE GIULIANIS In the tradition of Archie Bunker these two brothers are grumpy and racist but lovable if you love grumpy racist bigots who hate anybody who isn't forking over cash or check. After being forced to retire and struggling in a tough economy these two brothers and their wives decide to share a bungalow in Queens and the comedy centers around their constant bickering over who is more American or who loves America more or what politician is a Communist or Muslim. 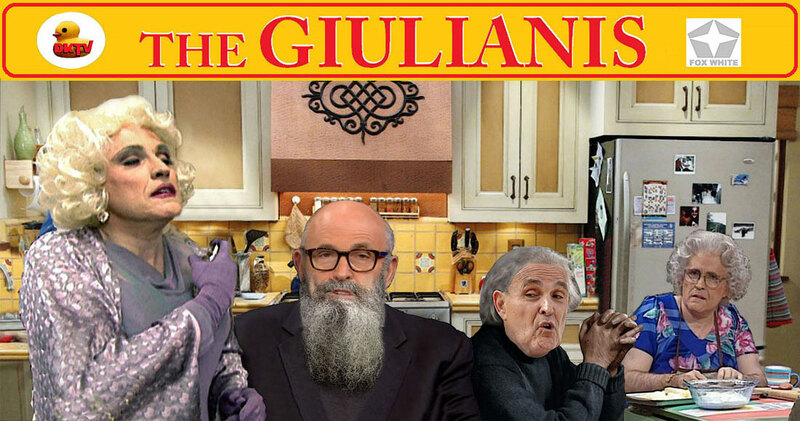 Rudy Giuliani draws on his personal experiences and plays four different characters but surprisingly pulls it off because realistically the bar isn't very high when your in your seventies and no longer relevant to much of anything or anybody. TV Guido says this mildly enjoyable sitcom should appeal to some seniors and their caretakers.